Recently I bought my first ever Blythe doll. I’ve wanted one since I saw her in an ad campaign some years ago. Her big bright eyes and cute outfits made her very recognizable and she has become a fashion doll icon both in Japan and the US. My own Blythe doll is a Pow Wow Poncho named Amy that I’m currently customizing. 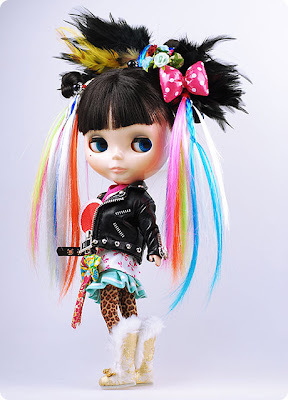 So I’ve been looking for good Blythe shops online and came across the most amazing store called Somedoll. They make very detailed and colorful custom outfits in both kawaii and street styles. 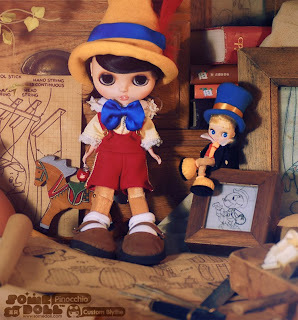 They also make gorgeous custom dolls and have recently created a Blythe Pinocchio that is just awesome. So if your Blythe girl needs a new outfit to match her street smarts, then Somedoll is the place to go.